When it comes to mobile, there are more open questions than definitive answers. Due to its fragmentation, it's not so easy to understand how the mobile market looks and works in general. How can you pick the right mobile strategy and select the right approach for your website? What design patterns and UX techniques can assist you in designing quicker and better for mobile devices? What design patterns do you need to be aware of when building responsive websites and to optimize the performance for mobile? Our new book attempts to answer these questions. Well-known experts such as Peter-Paul Koch, Stephanie Rieger, Trent Walton, Brad Frost, Dave Olsen, Josh Clark and Remy Sharp have contributed to the book to present the most relevant and valuable insights. To ensure the quality of the book, the chapters have been reviewed by Scott Jenson, Bryan Rieger, Tim Kadlec, Bruce Lawson and other active members of the mobile design community. The preface is written by Jeremy Keith. It wasn't easy to bring together such a stellar lineup of experts, but a compromise wasn't an option. I highly recommend this book to both the blossoming and the experienced UX designer. The various voices of different authors breathe fresh narrative air that carries diverse-and-deep domain knowledge along in a cohesive story about how to harness the chaos of our ever-evolving world into a mobile-UX delight. Consider the lessons in this book a whopping set of New Year resolutions. I got my hands on an early copy of The Mobile Book. I’ll cut to the chase and just say this: It’s fantastic. You should own it. Really. The standard, the reference book for Mobile. I worked for a mobile web publishing company for 18 months and the depth of knowledge provided by the experts in this book is extraordinary. It blew me away. 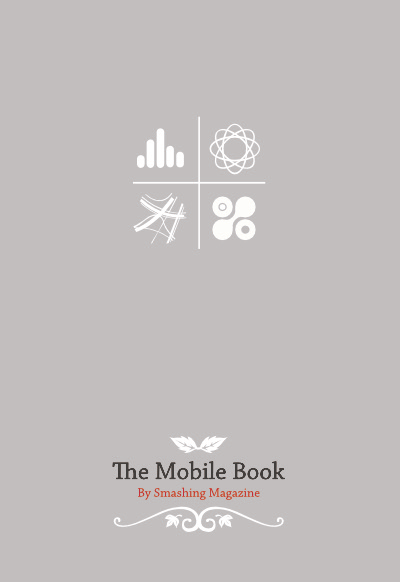 This book provides a diplomatic, comprehensive guide to understanding “Mobile”, delivered by people who have a real passion for the Mobile endeavours in our community.